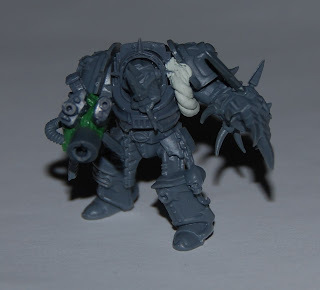 There are only two metal models of Obliterators on Games-Workshop. I really hate metal models. 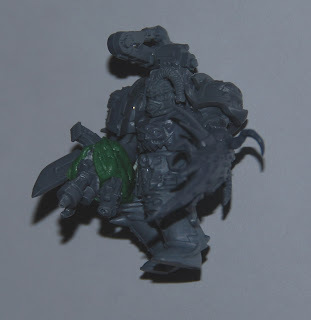 That's why I took Chaos Terminators box and pack of greenstuff to make my own obliterators. 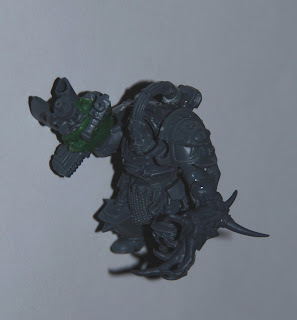 Obliterator-virus is technovirus by fluff, and I can't understand why original obliterators are covered with skin like some Nurglish followers. Skin should be visible in places of technology attachments as for me, but not to cover all the huge terminator armour.